For eleventh-graders Ricki Straeb and Sophie Goodwin, summer vacation was more than just relaxation. Straeb and Goodwin spent nine days on a mission trip in Nicaragua, building a house for a mother in need. On July 28, Straeb and Goodwin embarked on their journey to Matagalpa, Nicaragua. This vacation was a mission trip lead by the Christian church the two attend — Church of the Palms, located in Sarasota. Each year, Church of the Palms organizes a summer mission trip to Nicaragua in order to help improve and change the lives of the the Nicaraguan locals. The trip is offered to anyone willing to dedicate their time to both mission work and religion. This was Straeb’s second year of attendance and Goodwin’s fourth. Each year the Nicaraguan mission is different, yet this year the mission was, according to Straeb, quite humbling. Straeb and Goodwin, along with 11 other students and three adults, built an extension to a local Nicaraguan’s home. Jeanette, a mother of three and grandmother of many, lived in shambles with nine other family members. “It’s amazing how they managed to live there for all these years. Their home was seriously just dirt floors with some walls. They were basically homeless,” Goodwin said. In order to help Jeanette and her family live a healthier, more comfortable life, Straeb and Goodwin helped to build a larger home for Jeanette. According to both, the feeling of gratification that accompanied helping someone in need was unspeakable. Eleventh-grader Carlisle Linehan also joined Straeb and Goodwin on their mission trip. 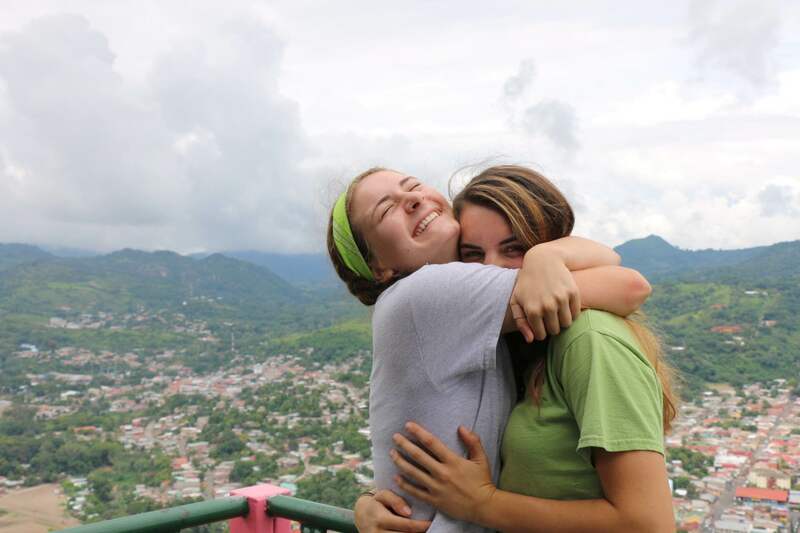 “It was really humbling to see how little [the Nicaraguans] had but how happy and welcoming they were,” Linehan said.